This is Pearlie just checking out what’s for breakfast! I think she’s hoping for a hot buiscuit! 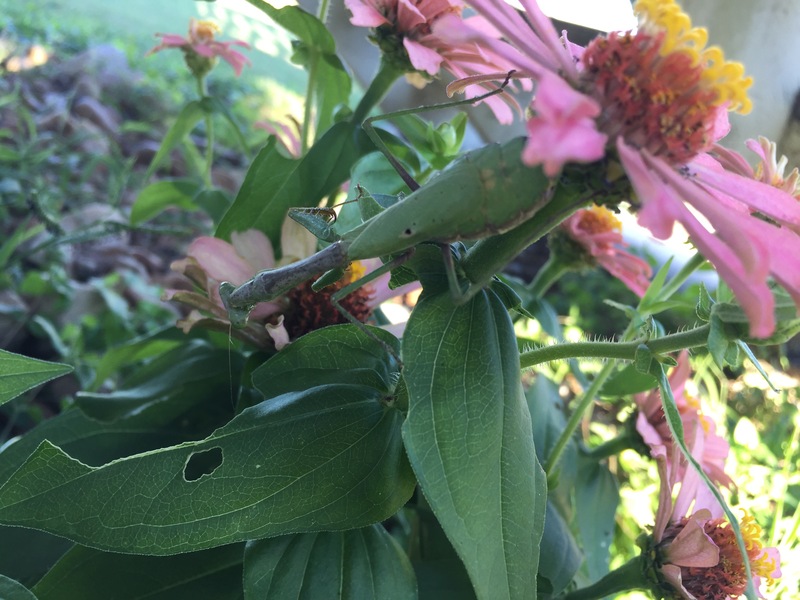 Tucked away under the foliage was a not so little praying mantis calmly enjoying a sunny day…and a few easy meals! !